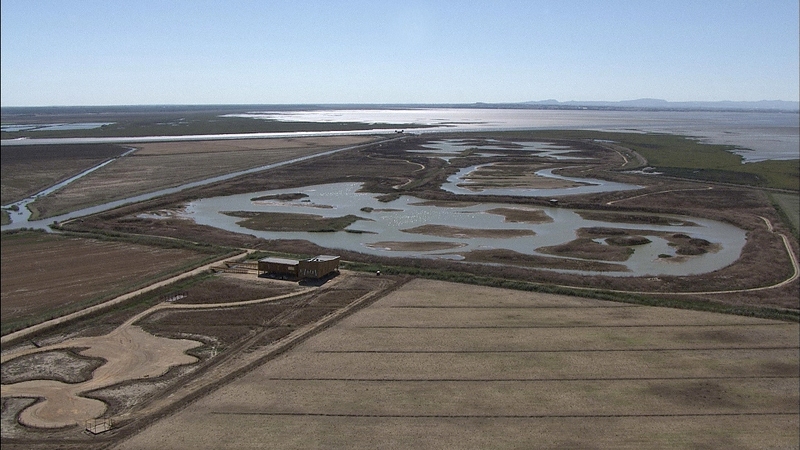 Name of organisation: Companhia das Lezírias, S.A.
EVOA is situated in the Natural Reserve of the Tagus Estuary (RNET), which is included in the Natura 2000 network since 1980 and is recognized as a wetland of international importance (Ramsar Site). 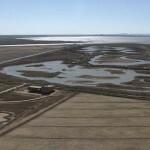 Since April 2013, the visitor can enjoy the wild birds, mostly in three freshwater wetlands, with 70 ha, created by the project and managed for birds. 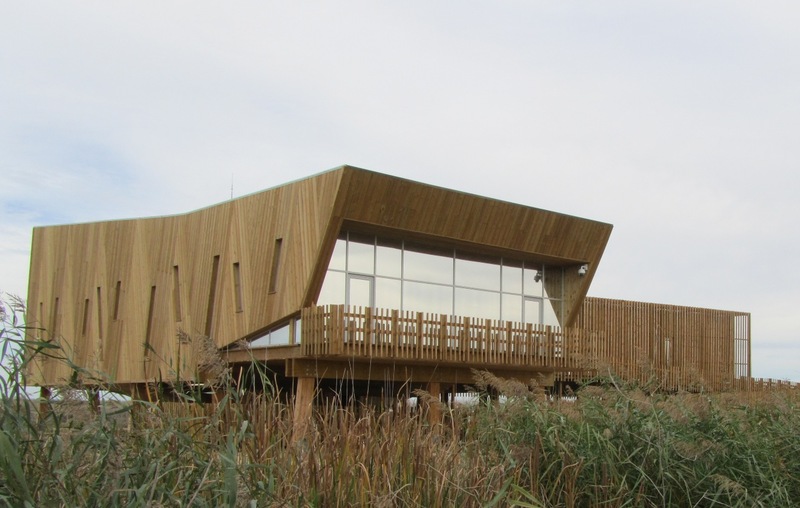 The necessary tranquility and convenience for visitors are guaranteed through hidden trails and hides that are strategically located. 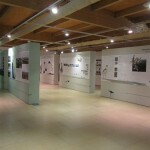 The Visitor Centre offers a pleasant visitor experience. 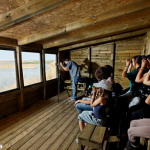 It support visitors to get to know the birds, the estuary and the lezíria and to participate in various interactive activities. 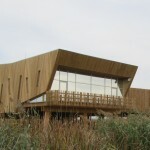 In addition to the exhibition area – EVOA, where the world meet the Tagus, the centre has a multi-purpose auditorium and a cafeteria where visitors can enjoy the space and the beautiful scenery. 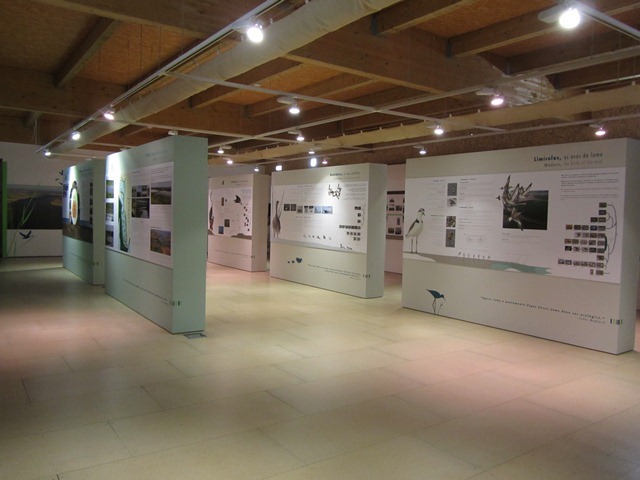 Guided-visits and a range of environmental education activities for schools, adapted to age and different thematics. 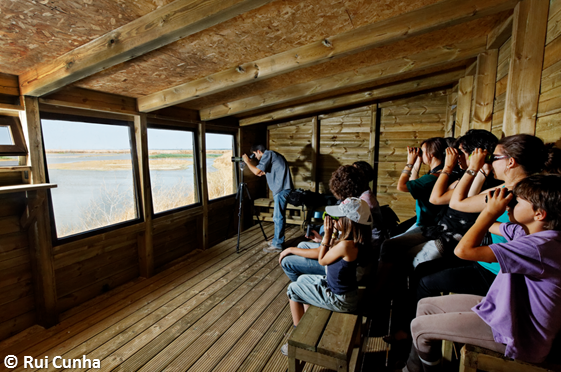 Contextualize and raise awareness among visitors for unique aspects of this protected area, its birds and its natural and cultural values.